Category Side Dishes and tagged maple glazed brussel sprouts, paleo brussel sprouts. 1. Start by melting 2 tablespoons ghee in a large skillet over medium heat. Add brussel sprouts and cook until browned( about 6-8 min). 2. Stir in broth, 1 tablespoon maple syrup, thyme, and cayenne and cook over med- low heat, covered, until brussel sprouts are tender. 3. Uncover and increase heat to med- high. Cook until liquid is nearly evaporated. 4. Turn heat off and add remaining 2 tablespoons ghee, apple cider vinegar, and remaining tablespoon of maple syrup. 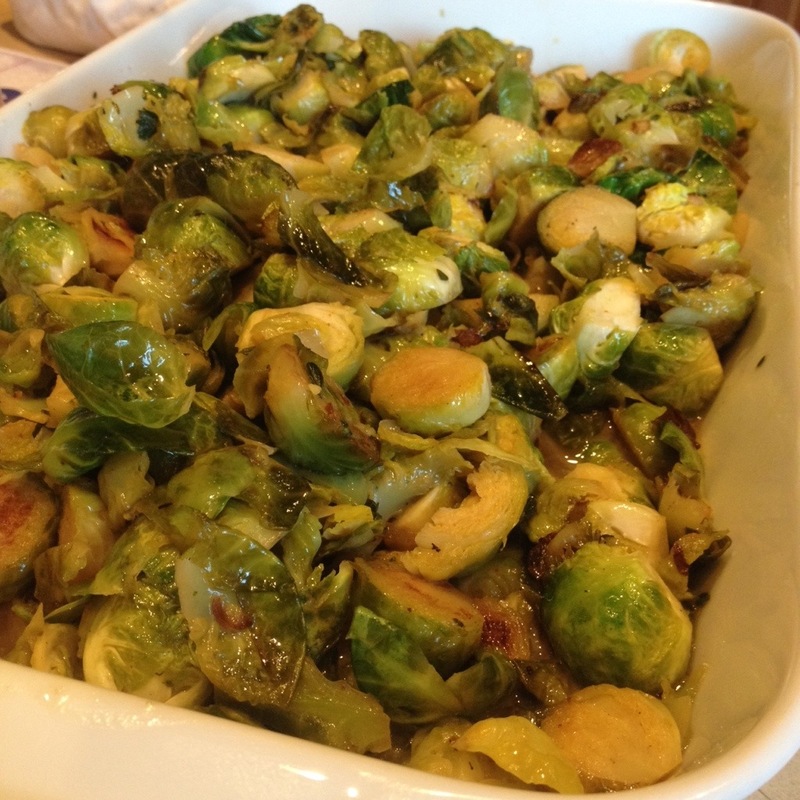 This entry was posted in Side Dishes and tagged maple glazed brussel sprouts, paleo brussel sprouts. Bookmark the permalink.